There has been a lot of dialogue recently about the Portland Harbor Superfund cleanup--both how it should be done and who will pay for it. First and foremost, we strongly agree that Portland Harbor needs to be cleaned up. 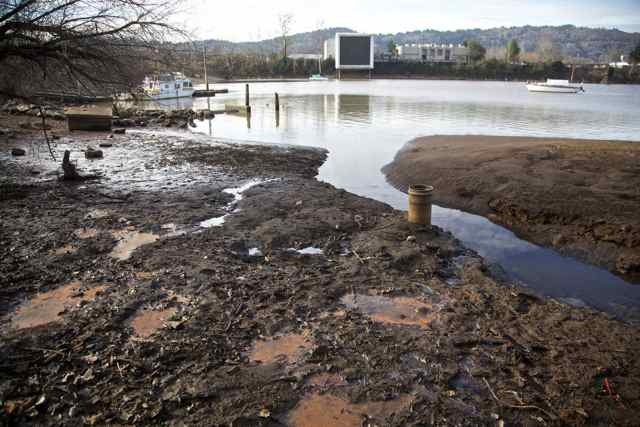 In some areas, pollutants buried for decades in river soils pose unacceptable risks to humans and the environment that can only be addressed through sediment cleanup. That's why our organizations--along with other stakeholders--have spent the last 15 years and $110 million on building the scientific basis for a cleanup that protects human health and the environment. We also know that a protective cleanup is going to be expensive, and we agree that doing it right must trump doing it fast or cheap. There must be a strong correlation between investment levels and avoided risks and benefits achieved. However, a recent guest column suggests that "out-of-state, multinational corporations" could painlessly pay for a multi-billion dollar cleanup. This is a dangerous fallacy that our community can't afford to believe. After a remedy is selected by the Environmental Protection Agency, more than 150 parties responsible for legacy contamination will work to settle their shares of liability. It's important to note that many entities actually responsible for causing the pollution have disappeared -- through bankruptcy or corporate dissolution -- in the decades since the contamination happened. And most of those left are local. So let's not kid ourselves about who is going to pay. While a portion of costs could be borne by out-of-state companies, the lion's share of the Portland Harbor Superfund cleanup will be paid for by local taxpayers, utility customers and employers, not multi-billion dollar out-of-state companies. People who live and work in this region today, and for many years to come, will be paying for this cleanup, and the ramifications of its price tag will show up in variety of ways. Local employers that rely on the harbor may freeze or reduce hiring. Impacted businesses may be forced to raise prices to cover these costs, making them less competitive. Oregonians may feel the pinch at home through tax and utility rate increases. For that reason, we need to ensure the way forward is smart and cost-effective--relying on science and best practices from other cleanup sites around the nation. The Superfund is an unfortunate byproduct of this region's growth in an earlier era. And now, it's time for all of us to take care of it. Those of us who care about the economic and environmental health of the river and this region have to work together, with the EPA and the state of Oregon, to ensure that the Portland Harbor cleanup gets done effectively and responsibly--and in a way that we can all live with. Bill Furman is chairman of the board and CEO of The Greenbrier Companies, Inc.
Gregg Kantor is CEO of NW Natural. Bill Wyatt is executive director of the Port of Portland.